These are the first cushions I have printed, and are from the Cover Story range. 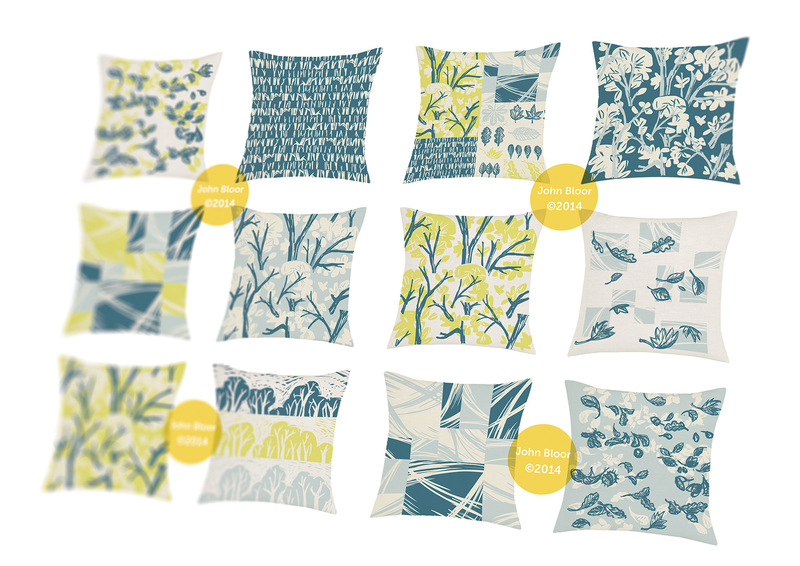 I created one ‘focal’ cushion design and twelve more abstract cushion designs for the range, selected four of them to print first of which this is the first one – printed in two different colourways. It doesn’t even have a name yet! So here it is…the first lampshade prototype, printed with six screens!